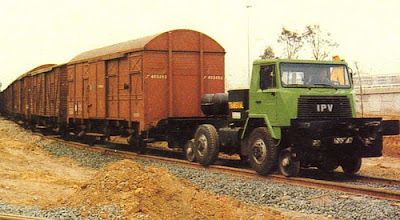 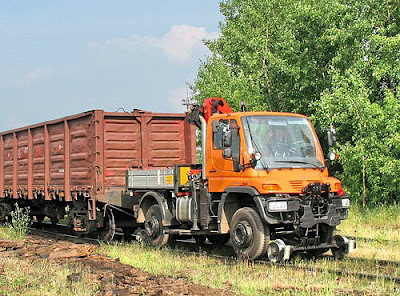 A Road-rail vehicle is a self-propelled vehicle that can be legally used on both roads and rails. 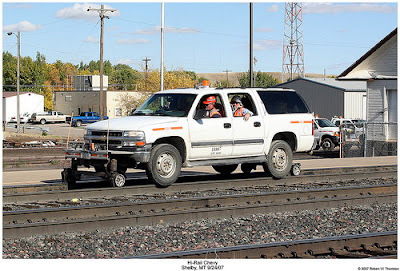 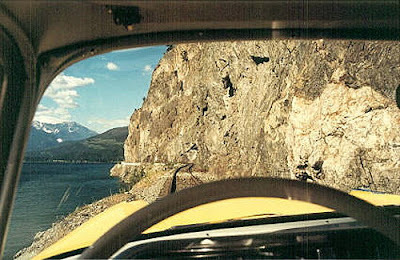 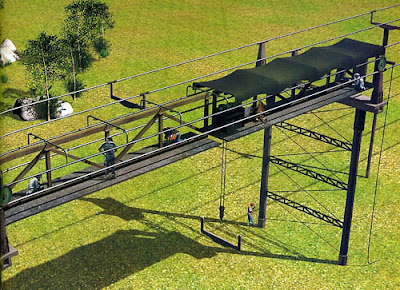 They are sometimes referred to as a Hy-rail or HiRail. 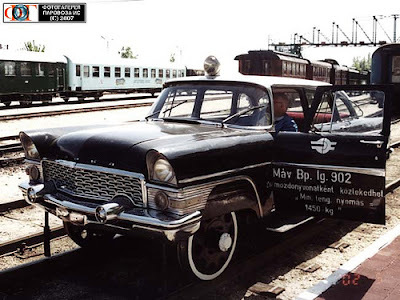 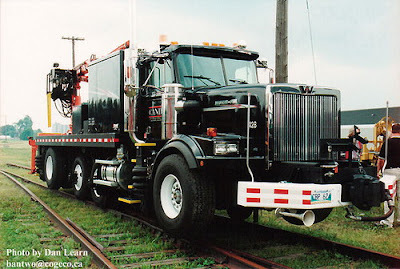 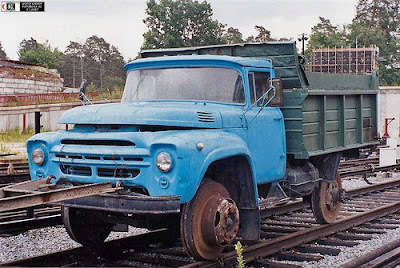 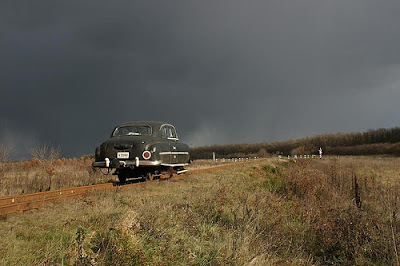 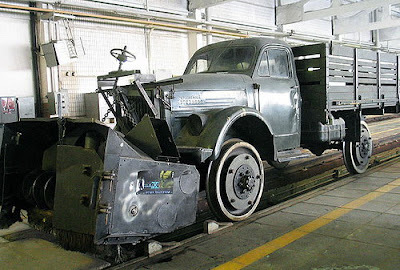 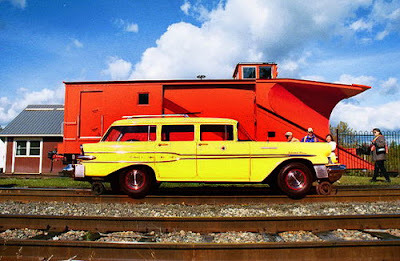 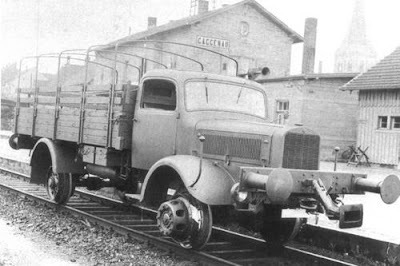 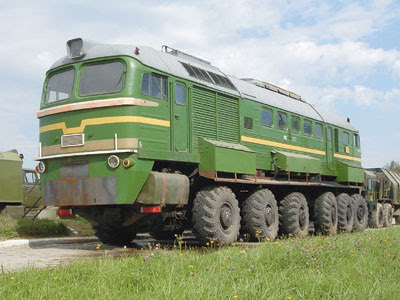 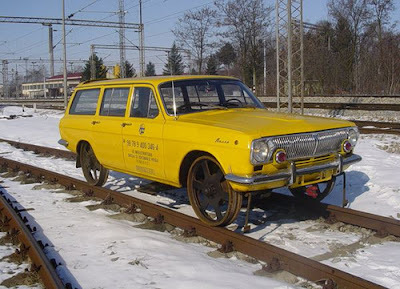 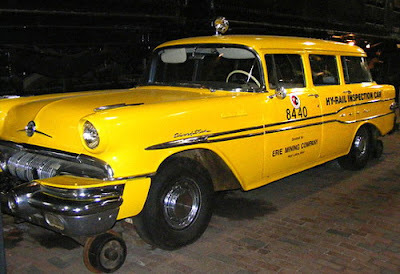 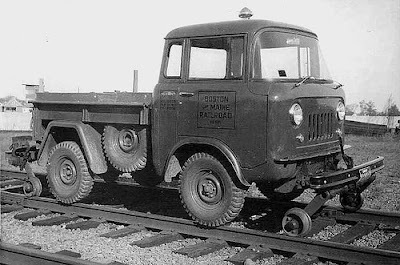 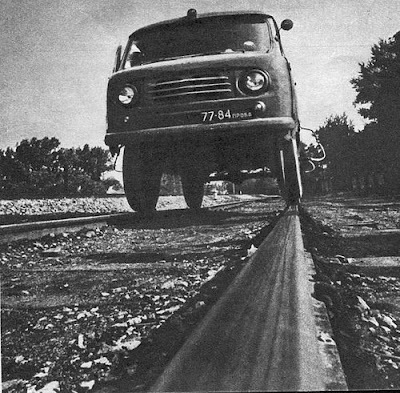 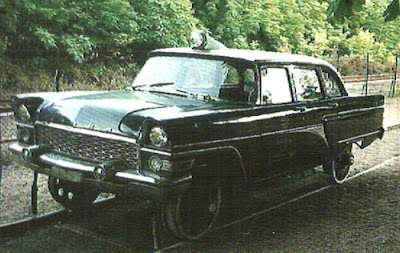 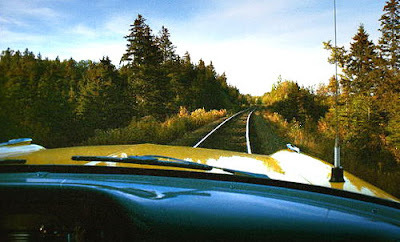 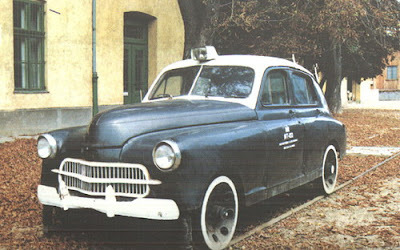 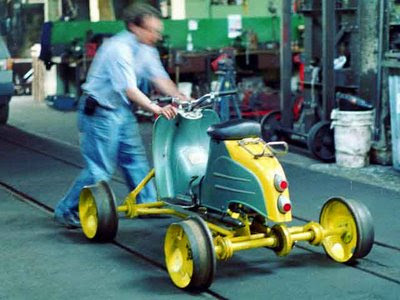 They are normally converted rubber-tired road vehicles that have additional steel wheels for running on rails. 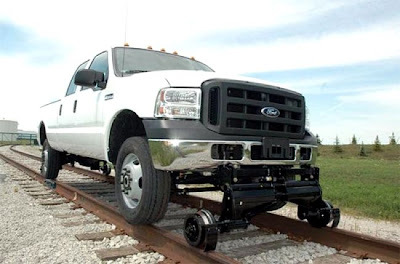 Because only one set of wheels would logically be used at a time, a pneumatic, or hydraulic system is employed to lower and raise the rail wheels. 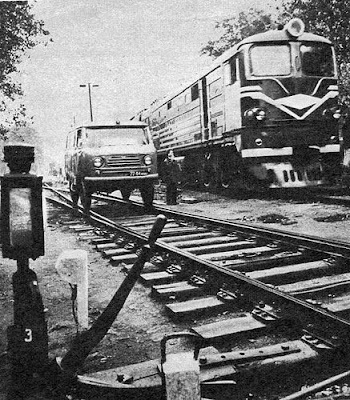 Such vehicles are normally used for permanent way maintenance during engineering possessions of the line. 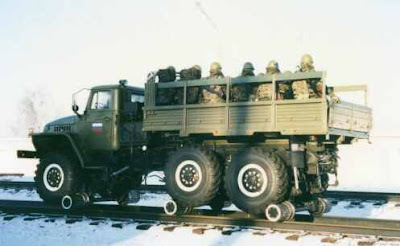 They can be driven on roads to near the site and then convert to rail vehicle for the final journey to the worksite. 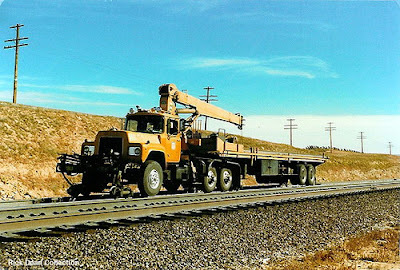 This avoids both the complex manoeuvres that would be associated with a rail vehicle, and the problem with a road vehicle of accessing the worksite if the worksite is not near a road. 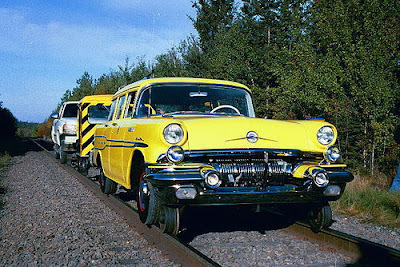 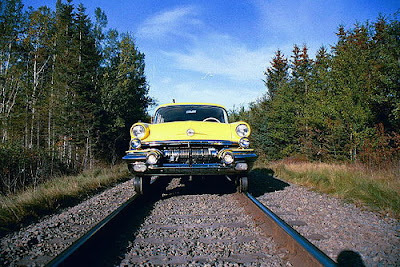 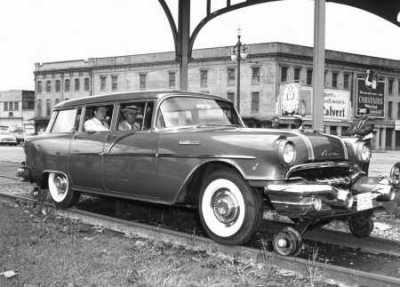 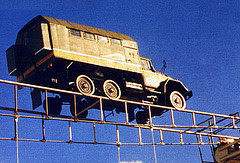 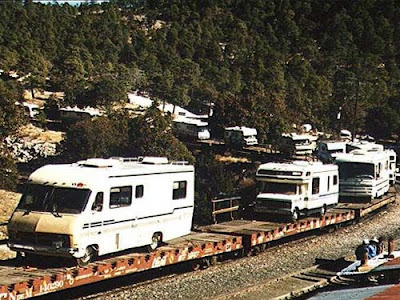 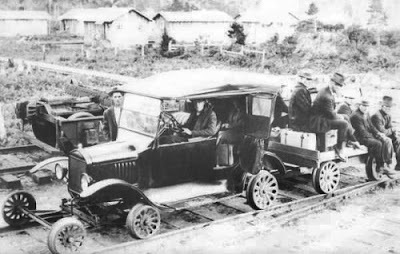 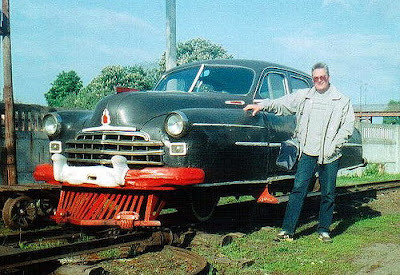 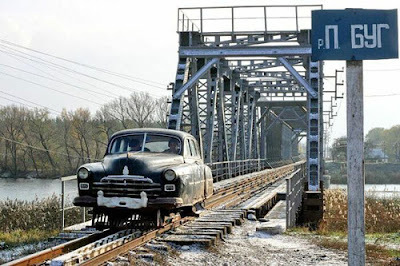 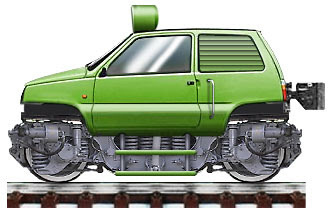 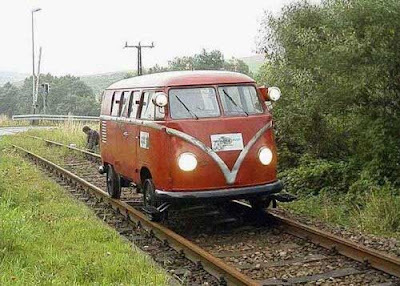 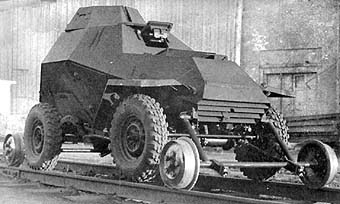 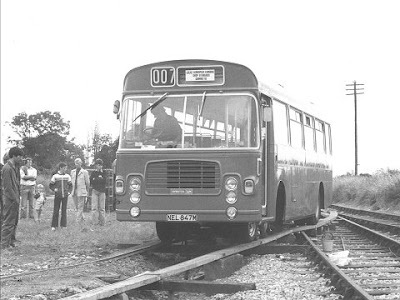 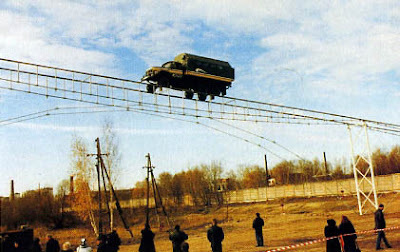 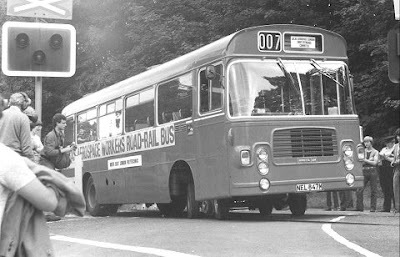 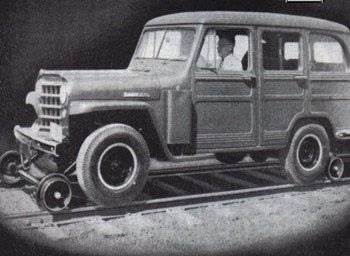 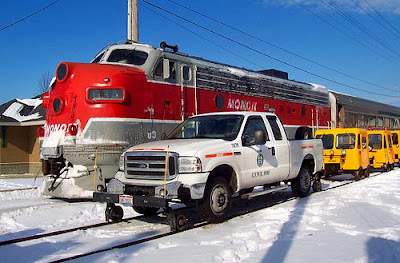 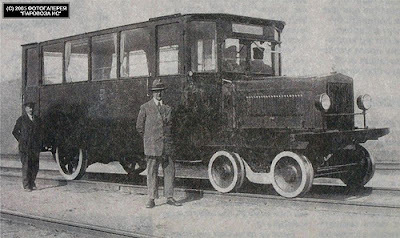 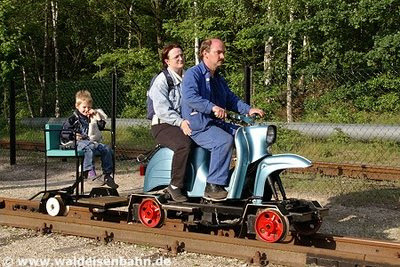 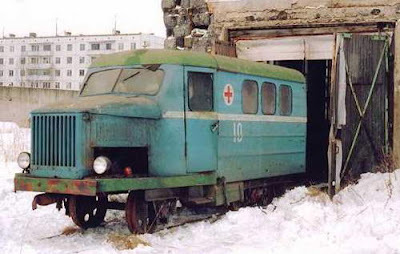 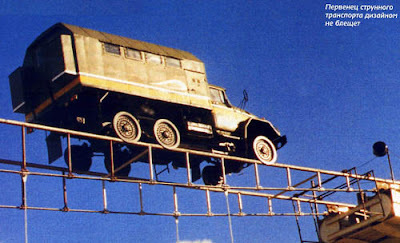 Since they are normally converted road vehicles, they would not fare well in a collision with a heavy rolling stock and therefore can only drive on railways under an engineering possession. 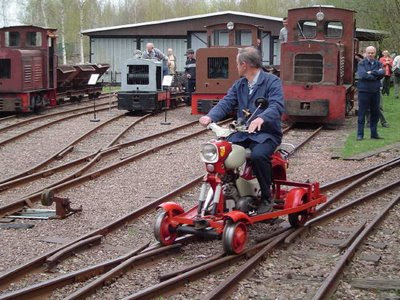 Their light weight also means they may not correctly operate track circuits for signaling.